I’m not a royal watcher and can live without reading the latest details about the upcoming nuptials of Prince William and Kate Middleton, but when you tie it all to crafting I’m suddenly very interested. 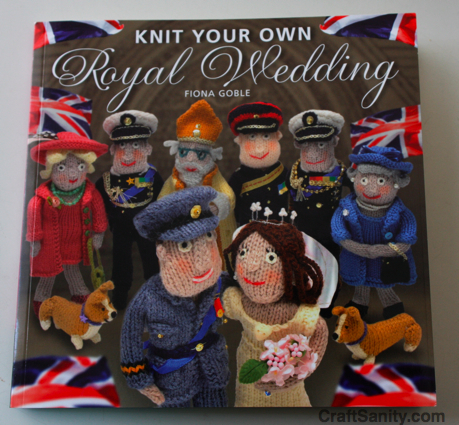 A review copy of “Knit Your Own Royal Wedding” (Andrews McMeel Publishing, $17.99, 64 pages) by Fiona Goble arrived in today’s mail and it’s both clever and amusing. Knitted versions of the queen and her grandsons more closely resemble the real-life royals, than the knitted versions of Kate and Camilla, the Duchess of Cornwall. But it’s challenging to capture a person’s essence with a knitted likeness and Goble did a nice job of creating knitting patterns for crafty fans of royalty. From Prince Williams toothy, chain-stitched smile to Queen Elizabeth II’s pearls and flipped up hair, Goble’s attention to detail is impressive and fun. 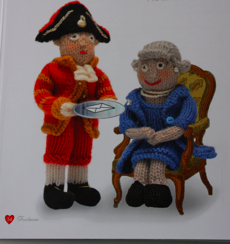 She even includes a pattern to knit the Queen’s Pembroke Welsch corgis. 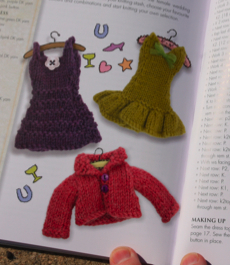 The patterns in the book are geared for experienced knitters, but Goble includes basic illustrated instructions for casting on and completing basic purl and knit stitches to help rookies make their royal replicas, too. 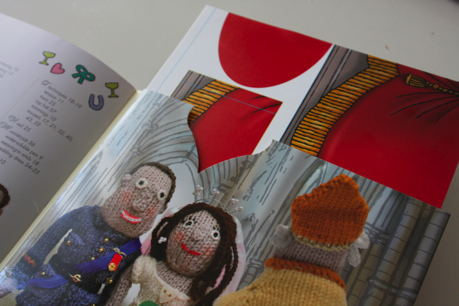 While it would be challenging to knit the whole royal family on size 2 or 3 needles before the April 29 wedding, the book includes a fold out balcony illustration for those who want to properly set the scene for their knitted creations on the big day. Experienced knitters can follow Goble’s knitted doll patterns to create a likeness of themselves or their crafty friends. 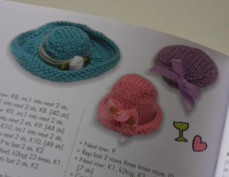 And whether you’re knitting a princess or a commoner, the results are sure to amuse your knitting group pals.